Boott Cotton Mills Museum Lowell National Historical Park « Jeff Kennedy Associates, Inc.
Flip it, Fold it, Figure it out! In the mid 19th century, Lowell, Massachusetts, was the epicenter of the world’s cotton textile industry. Much of the infrastructure of the industry is still intact today, providing a window into the American industrial revolution through such large and impressive features as power canals, rail systems, cotton mills and worker housing. 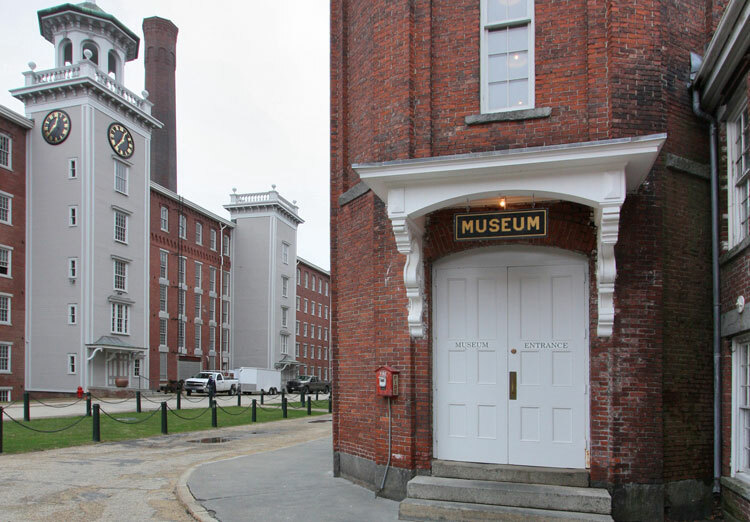 The Boott Cotton Mills are the centerpiece of a multi-site urban “museum” ten years in the making. 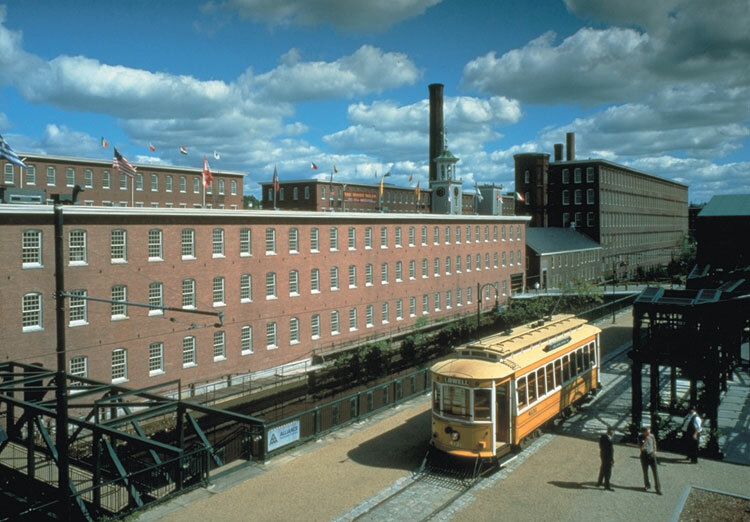 A visit to Lowell National Historical Park includes opportunities to ride historic trolleys and take a boat tour of the canals that brought water power to mills from the Merrimack River. 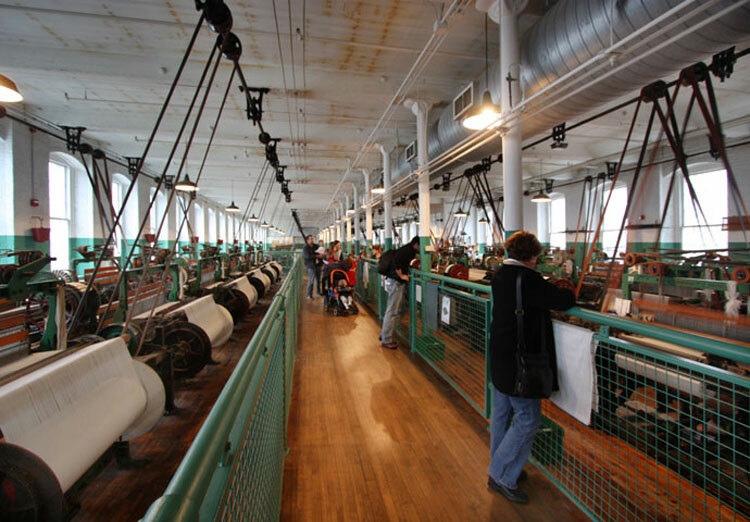 For the Boott Cotton Mills Museum, the Park’s largest interpretive attraction, we proposed to reinforce period immersion by recreating a working weave room within the walls of the museum. 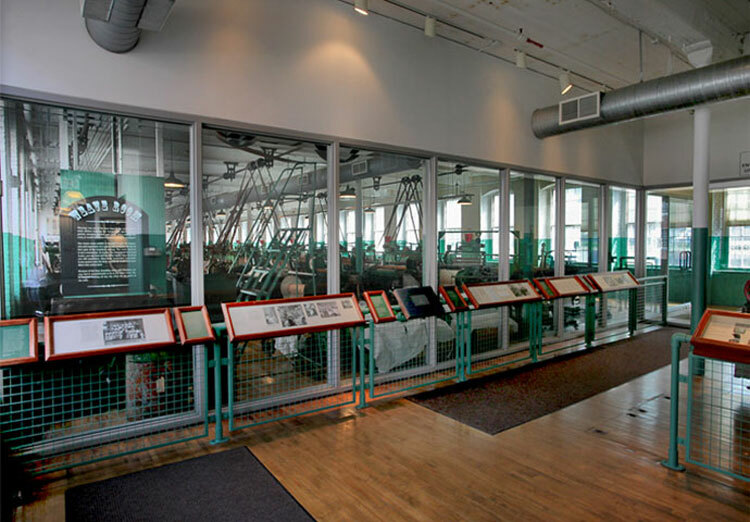 We developed an experience design that begins by placing visitors in the footsteps of factory workers, bringing them into the interior of the complex where they enter the museum through a stair tower—the historic worker entrance to the five-story mill structure. 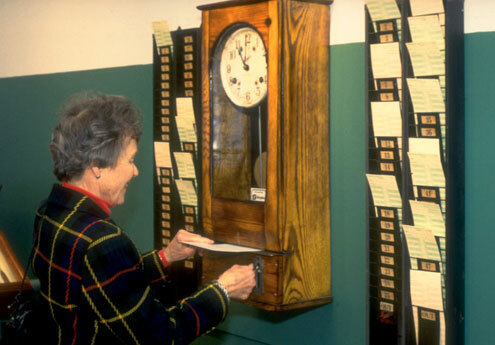 Once inside the mill building, visitors continue along the path of factory workers by ‘punching in’ at a time clock, with the time card retained as a take-away souvenir. 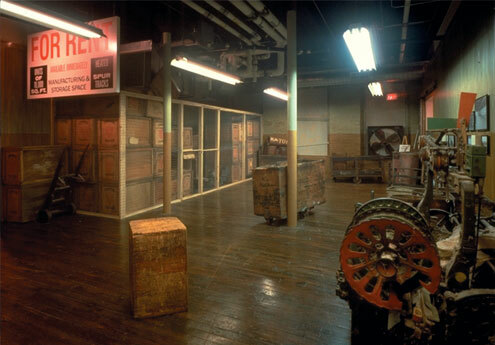 The weave room was a harsh environment in which to work, being both dangerous and extremely loud. Before entering the immersive, working weave room (brought up to current safety standards), visitors enter a glass-wall viewing area where they are oriented and reminded to pick up ear plugs. Once in the weave room, visitors get a true visceral feeling of what working a long shift in this environment might be like. 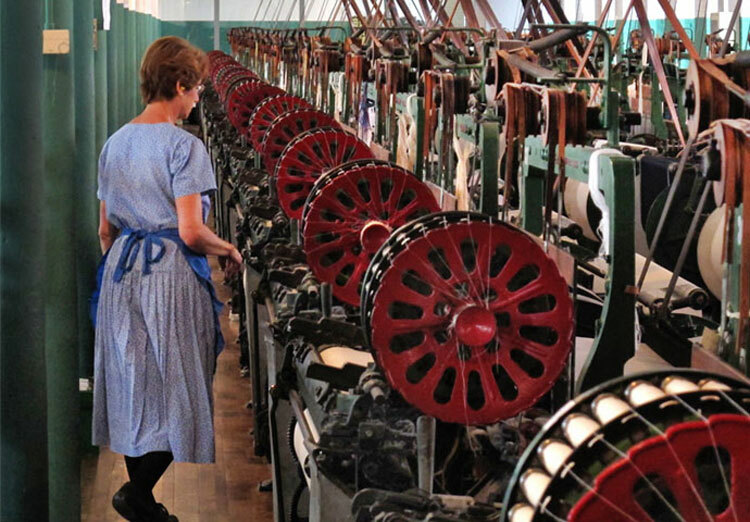 The entire room seems to be in constant cacophony and motion, with power being brought to looms by fast-moving leather belts connected to long shafts turning overhead, and hammers striking shuttles to send them back and forth through loom sheds so quickly that they become a blur. 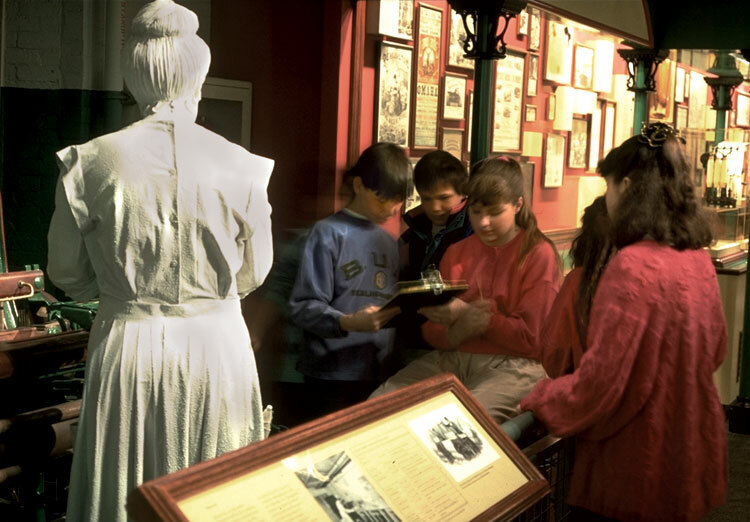 The operating weave room is staffed at all times by National Park Service specialists who, in addition to being skilled technically, are trained interpreters; when the machines are disengaged and the room becomes quiet, they answer visitor questions. 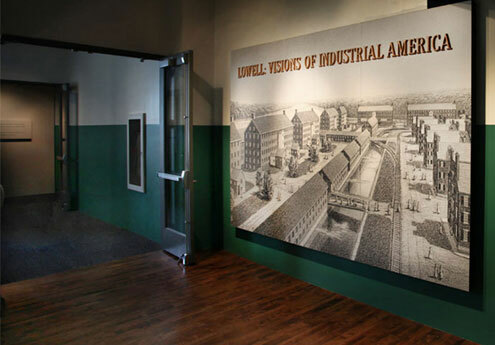 The second floor exhibition interprets Lowell’s role in the America’s Industrial Revolution, from inception as an industrial town to heyday in the 1840’s, and through a gradual decline that continued until the mills moved South with the advent of steam power and cheap labor. 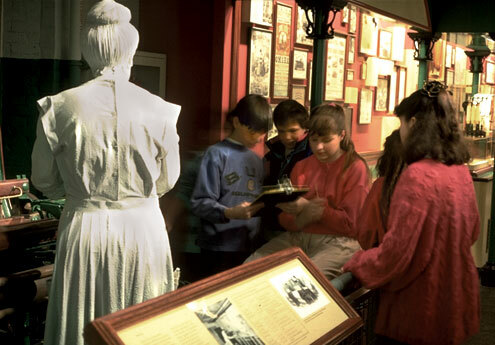 Student visitors participate in programs that interpret work life in the mill. 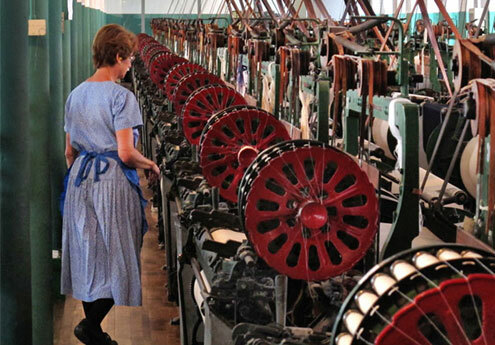 Most workers were women, and their stories are prominent throughout the exhibition. A 1912 strike sheds light on the complex relationship between industrial workers, managers and owners. 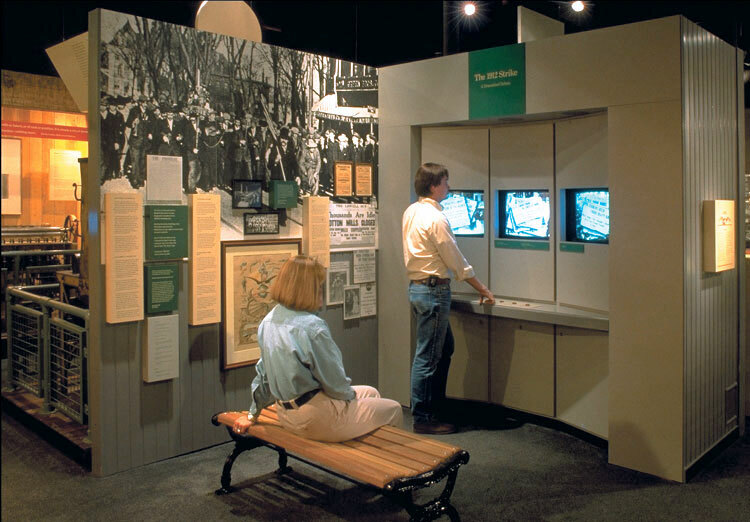 Visitors can control a three-person, three-screen video debate between an absentee mill owner, a work floor manager and a mill worker—each trying to keep your ear as long as possible. This immersion setting places visitors in a dilapidated, abandoned mill space, not unlike this very place prior to the revitalization of the city and the creation of the Boott Cotton Mills Museum. 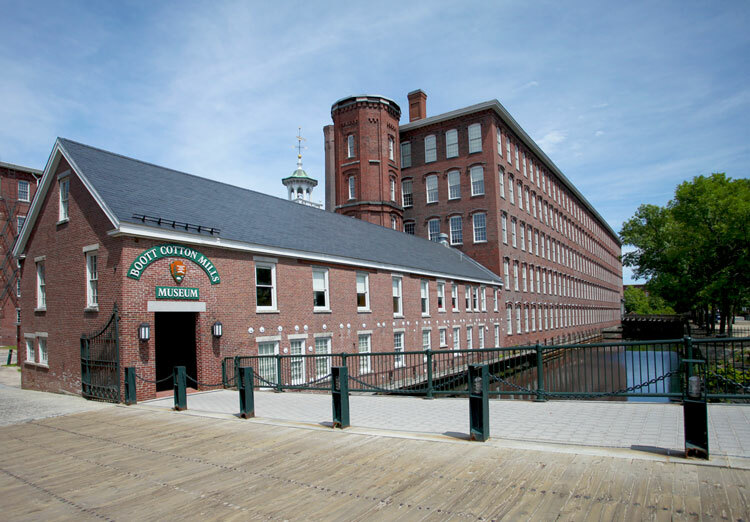 The storyline is of New England mills losing their comparative advantage, with industry moving south to where labor was cheaper and where, with the advent of steam engines, water was no longer needed for power. The exhibition received the 1993 Dibner Prize, an international award given annually by the Society for the history of technology to the museum exhibit that best demonstrates excellence in the interpretation of the history of technology.